Size: approx. 2-3 mm. Photo: 04/23/12, 9 am. An Acrobat Ant (Crematogaster sp.) 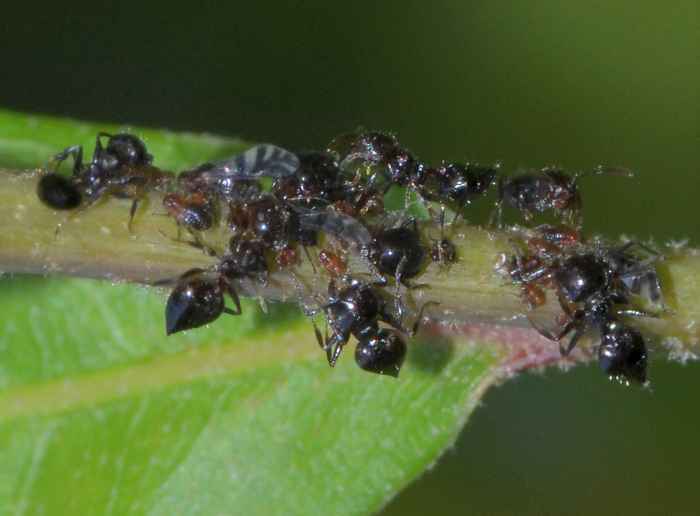 taking care of aphids. 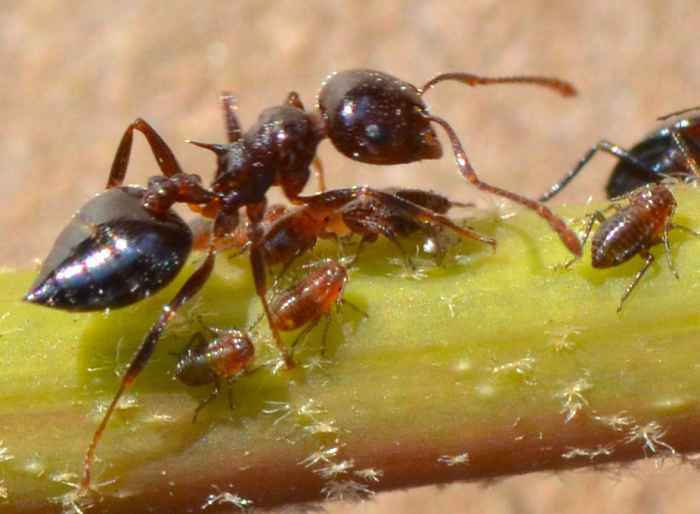 When viewed from the top, these ants have an unusual, heart-shaped gaster (the bulbous posterior portion or rear end). The genus has 28 species in North America. Based on the spines on the ant's back, my guess for this specimen is C. atkinsoni which are known to exist in Florida.